Small Businesses need to establish relationships. Whether you are looking for clients, leads, referrals, partners or vendors, Networking provides a HUGE boost to your business and is the least expensive way to create relationships. Here are two web sites that have taken center stage allowing you to find and join networking groups in just about any city of the country (and perhaps the World!). 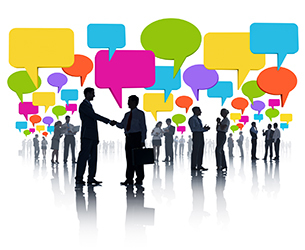 Both sites allow you to search and find the types of networking groups that are pertinent to your business. Bonus Tip: Both of these ALSO allow YOU to publicize or organize your OWN networking or regularly scheduled group. This is a very powerful way to build your own business. If you want to know more about building your business in this fashion, let me know. If I receive enough inquiries I will send a new tip! Wishing you Peace, Joy and Love!